Mr. Kazallon thought that booking passage on a cargo ship from Charleston to Liverpool would be a charming way to return to his English homeland. If only he knew! A crazed sea captain, a disaster in the hold, storms, oppressive heat, sharks and starvation are just some of the many travails that will beset both passengers and crew. Will any of them survive the wreck of the Chancellor? 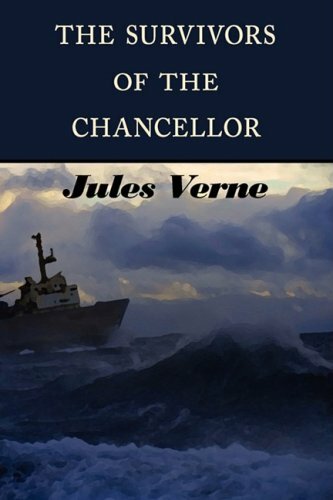 A science fiction novel by Jules Verne. The story begins with strange lights and sounds reported in the skies all over the world. The events are capped by the mysterious appearance of black flags with gold suns atop tall historic landmarks. Verne recounts the voyages of various European navigators to all parts of the globe. He gives detailed accounts of the explorers' climactic and navigational hazards, and their discoveries, conveying the sense of adventure enjoyed by the explorers.